At UT Southwestern Medical Center, we believe in focused treatment of brain metastases – methods that treat the tumor while preserving normal brain function. We treat a large number of patients with brain metastases each year. Our multidisciplinary approach to brain tumors is led by our neurosurgeons, who work closely with colleagues in the Harold C. Simmons Comprehensive Cancer Center. 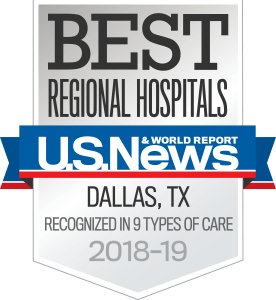 As the only National Cancer Institute-designated comprehensive cancer center in North Texas, UT Southwestern is a leader in delivering state-of-the-art cancer care for the region. Metastases are cancer cells that have broken off from the main tumor and spread to distant sites in the body. Many types of cancer can spread (metastasize) to the brain. UT Southwestern offers expertise and access to technology for treating brain metastases that others don’t. We have the only Gamma Knife in North Texas, which delivers high-dose radiation solely to the tumor while sparing the normal parts of the surrounding brain. When a patient is seen at UT Southwestern for a possible brain metastasis, the evaluating physician will gather information about the current disease status, chemotherapy medications, and any previous treatments. The physician then confers with the multidisciplinary brain metastasis team. Our neurosurgeons, radiation oncologists, and medical oncologists work together to develop personalized treatment plans for each patient, which allows us to maximize patient benefit while minimizing risk. All patients with brain metastases are seen promptly. Same- and next-day appointments are often available. Most brain metastases can be treated using a combination of surgery and focused radiation. In the past, the only treatment option for patients with brain metastases was whole-brain radiation therapy, which delivered radiation to both the tumor and the normal parts of the brain, causing significant cognitive side effects. Today, our treatment for brain metastases is much more sophisticated. We now have the ability to direct treatment precisely to the cancer, without affecting the surrounding tissue. Patients with large brain metastases that are causing neurologic symptoms are best managed with surgery. Using advanced microsurgical techniques to remove these tumors can improve patient outcomes. Additionally, when there is only one brain metastasis, surgical removal can produce lasting tumor control. The mainstay of treatment for brain metastases is radiation therapy. At UT Southwestern, we’re able to avoid whole-brain radiation when possible because we have the only Gamma Knife in North Texas. This radiation device was designed specifically for the treatment of brain metastases and delivers high doses of radiation only to the tumor while sparing nearby healthy tissue. This precision results in much better tumor control and no cognitive dysfunction. Our neurosurgeons and radiation oncologists work closely with medical oncologists both at UT Southwestern and in the surrounding North Texas communities. We encourage our patients to maintain their longstanding relationships with their physicians both inside and outside the UT Southwestern system. UT Southwestern conducts clinical trials aimed at improving the diagnosis and treatment of brain conditions such as metastases. Patients can talk with our doctors to see if they qualify for a clinical trial.